NEED: Construction of Chetumal Bible Institute in Chetumal, Mexico. DESCRIPTION: New construction, building addition, and building remodel for the purpose of having a sanctuary, gymnasium, classrooms, dorms, chapel, academic and administration buildings. These are phases of the project to be built on the 50,000-square foot property acquired by the National Church of Mexico. BENEFITS: Having operated for 20 years as an extension of the Instituto Biblico Eclesiastes, students of the Chetumal Bible Institute have had to travel to five different churches for different periods, which limits their development. Despite this situation, pastors continue to graduate and lead churches throughout the area. Because it covers two regions, more than 100 AG churches are directly benefited by the presence of this extension. A new facility would serve to overcome the present limitations of not having an established location for the unique services operating as Instituto Biblico Chetumal and would be a great advantage for the planned development of enhanced courses, programs, and diplomas in various ministerial disciplines in the future. Goals are for consolidating as an interdenominational institution, continuing leadership courses for deacons and church staff, and becoming a viable option for educational projects at the national level. 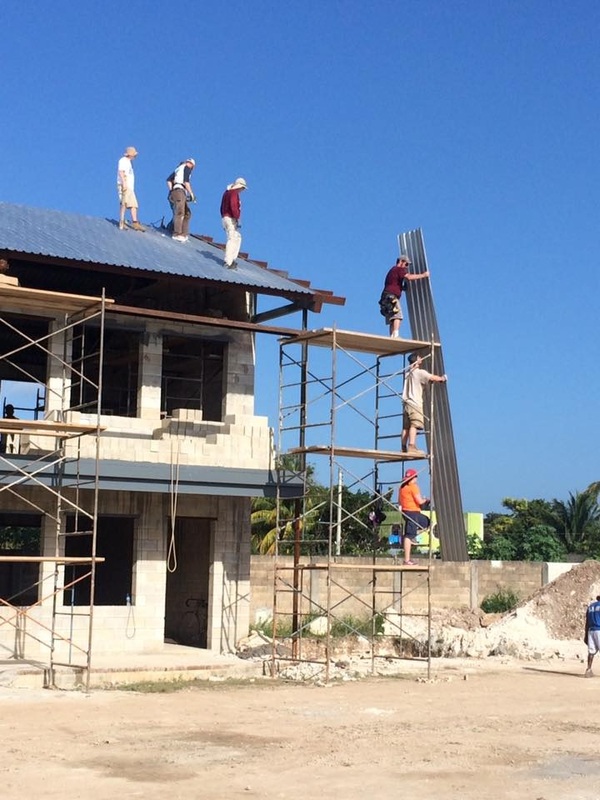 In January, Pastor Garry Hamilton was on the ground in Chetumal, Mexico, as his team from First Assembly of God in Manchester, New Hampshire, put the finishing touches on the Bible School! Check out The Builders Weekly to watch his video update! I'm just returning home after having been in Chetumal for 3 weeks hosting two teams. The first team was from State College, PA., Virginia, New Hampshire, lead by Pastor Garry Hamilton and John Potter. The team put 230 sheets 20' long on the roof so now we're dryed in. They laid approx 3000+ blocks in the women's and men's dorm dividing walls and installed all the rebar. They poured 25 yds. of concrete for the footings for the septic and cistern tank, poured 16 columns with anchor plates and laid 850 blocks for auditorium foundation and put 55 gallons of paint on all the steel. The second team was from Virginia, North Carolina, Arkansas, South Dakota and New Hampshire lead by Terry Brendt Bolyard. 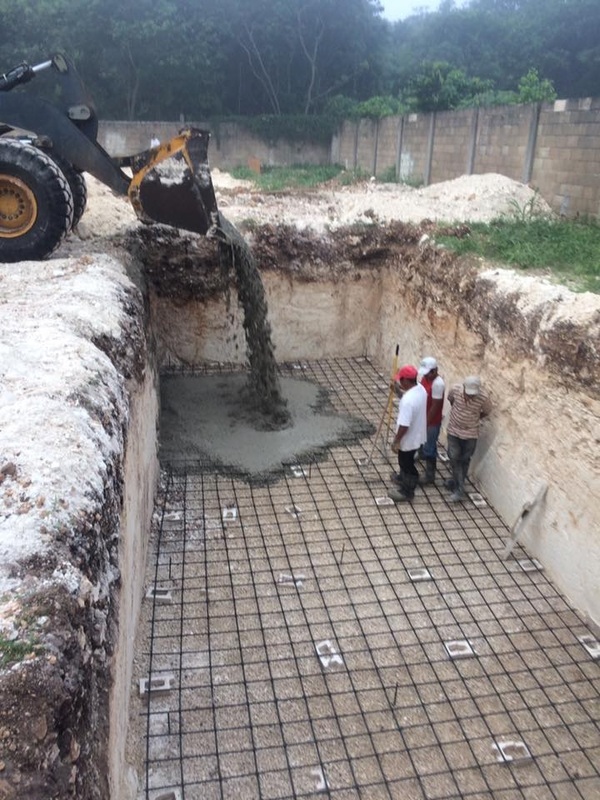 They finished the blocks in the men's Dorm and started the blocks in septic and cistern tanks approx 4000 blocks in all. This group also did all the underground plumbing drains, put 40+ gallons of paint on the steel, poured 82 yards of concrete for auditorium floor, 13 yards for bathroom floors. Set 16 steel columns for auditorium. Thanks to Pastor Garry Hamilton and Manchester Assembly for their work in January! Two foundations are now in and walls going up on the second building. First two building structures are up. Now ready to schedule teams and keep the work moving. Closed toed shoes. Shirts should be worn. Included in Per Diem. Pool and ocean day trip with BBQ. Alternative in Cancún additional $50. Go to Mexican church service.